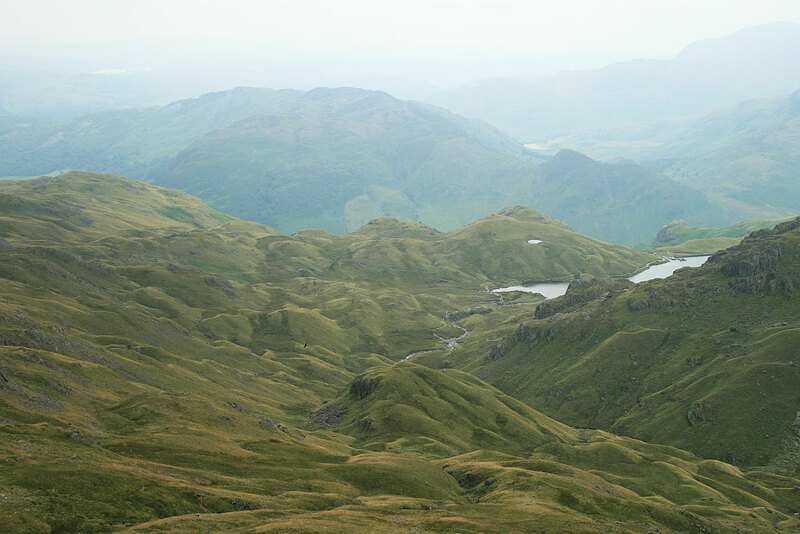 The Old Man Of Consiton walk is one of the most popular Lakeland hikes with many walkers having completed and bagged this one. There are many varied and different routes that can be taken, whilst any route you choose can be varied in length to suit your requirements. 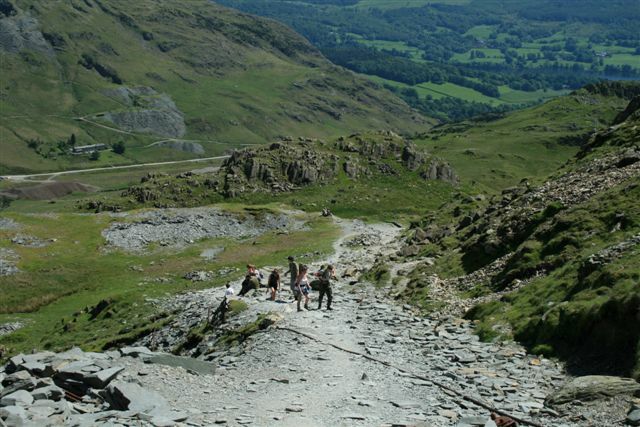 A simple walk may include the Old Man of Coniston, whilst depending on fitness levels a more rewarding walk may be undertaken which would include several other peaks such as Dow Crag. 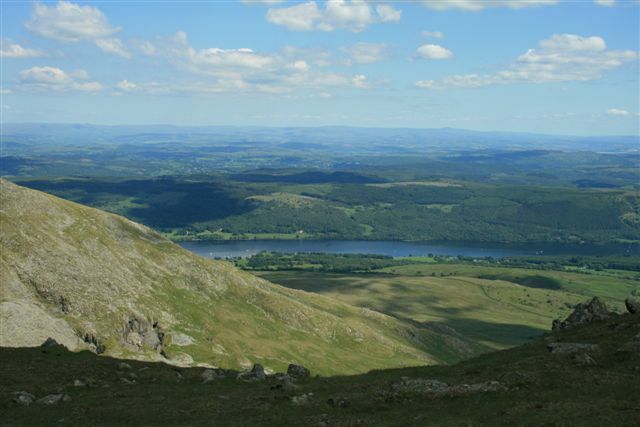 Whilst ascending the Old Man Of Coniston Low Water is a great midway point when planning your route to stop and have a break for lunch or elevenses especially if the weather is warm and you have your dog with you. 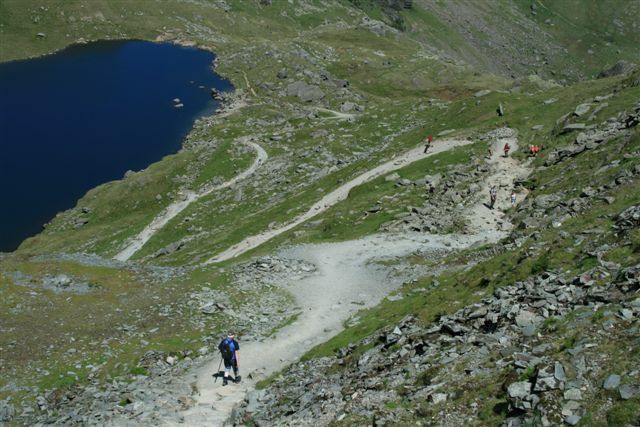 At this point I will say that should you be looking for a shorter route up the Old Man Of Coniston there is a car parking facility at Boo Tarn, which is free and a very picturesque setting. 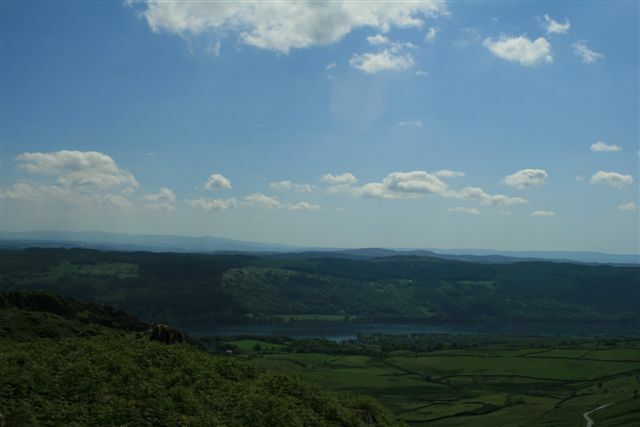 For me the real enjoyment of this walk is Dow Crag as it rises majestically above the impressive Goat’s Water opposite the Old Man Of Coniston and the larger circular walk this creates, with impressive views of Morecambe Bay and Coniston Water. 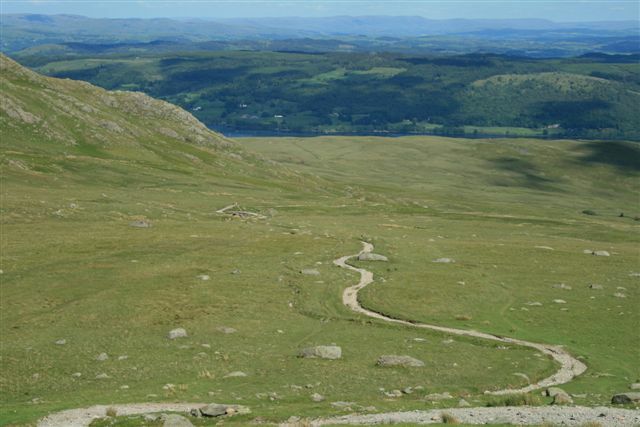 This walk started from the school car park within Coniston village and a £2 fee in the honesty box located on the left of the school gates following the popular route up Coniston Old Man. Leaving the school and the centre of the village heading towards the main road cross directly over the road and start to climb this country lane. Looking towards your right and passing the first bend the Sun Hotel and Inn will come into view. The Sun Hotel is a great place to start your walk, whilst also a great place to finish with perhaps a drink and something to eat with meals being served after 5.30pm. Directly to the left of the Sun Hotel is a clearly marked footpath sign, which will take you via Miners Bridge, which edges the copper mines valley. 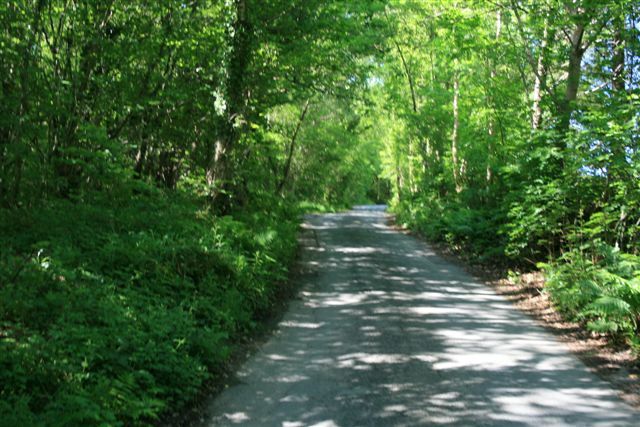 We continued up along the country lane leaving the Sun Hotel and continuing up the hill through the wooded area until we reached the near ‘u’ bend in the road and here we exited the road through the gate, where the footpath sign is hard to see. 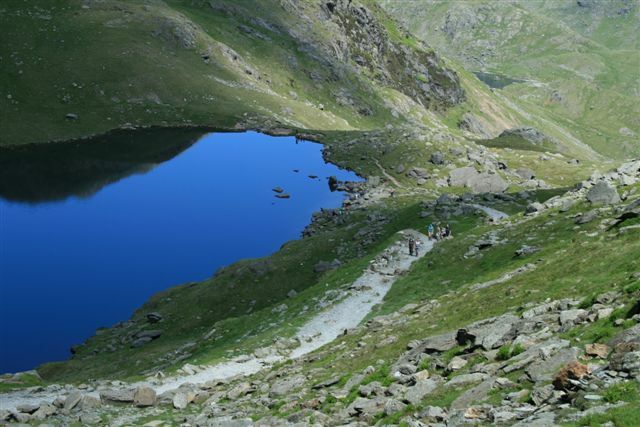 Should you continue along this road you will come to the car parking area at Boo Tarn. 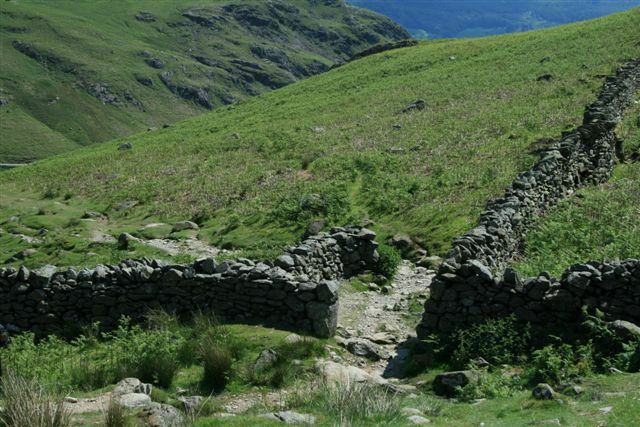 With the dry stonewall to our right we passed through two fields and came to a small wooden bridge with a steep climb ahead of us through a bracken-covered fell. Here was discovered a small Adder, being Britain’s only poisonous snake characterised by the zig zag pattern on its back and eyes with a vertical pupil and orange background. Whilst shy and not at all aggressive the only reported incidents involve someone handling, so enjoy, although should you spot an Adder leave them to their habitat. The footpath at this point is clearly visible with Coniston Old Man to your left as the path bends leftwards towards Crowberry Haws passing three stonewalls prior to arriving at Crowberry Haws, wherein the path from Boo Tarn now joins our ascent of the Old Man Of Coniston at the crossroads of paths. Continuing forwards you are now on the ascent of the Old Man and therefore probably the busiest part of the walk in terms of people, whilst notably the steepest and most arduous climb of the walk. I have a theory on steep ascents that it is easier on the knees to climb upwards, as opposed to going downwards, therein I personally prefer when given a choice to climb steep ascents wherever possible as opposed to descending a steep hill. If you have any personal views on this I would be greatly interested to hear your theories? 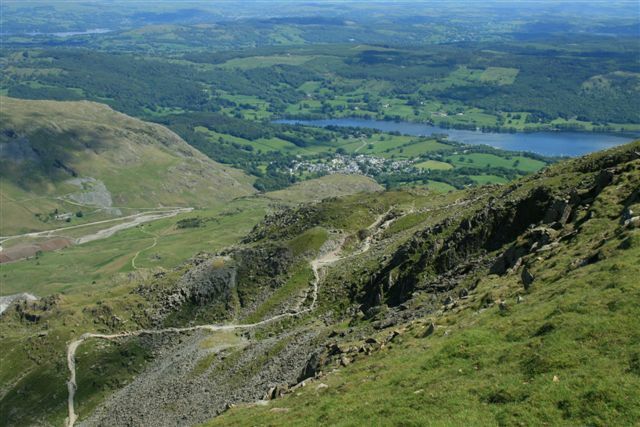 With the above in mind the ascent of the Old Man of Coniston is very rewarding as the views looking down towards Coniston village and the lake are well worth the effort. The path continues ever upwards and is in the vast majority rough stone, which can be hard, going for some dogs with the possibility of cut paws and or worn pads. 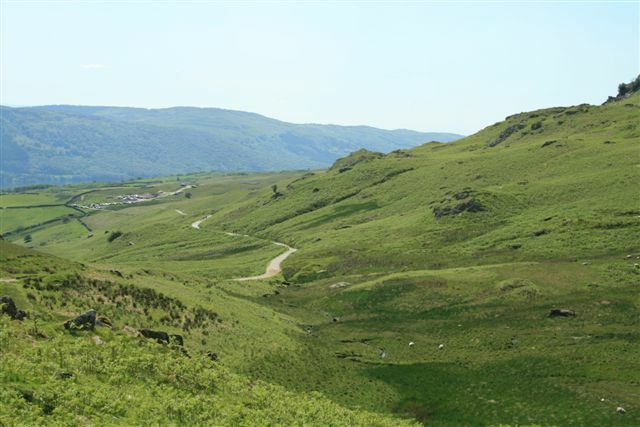 As you continue there are many relics of Coniston’s industrial past, with the lower mine ruin and the footpath passing on through an old mine runway as you ascend, whilst a huge steel cables known as ‘Blondin’ still present today crosses the path. 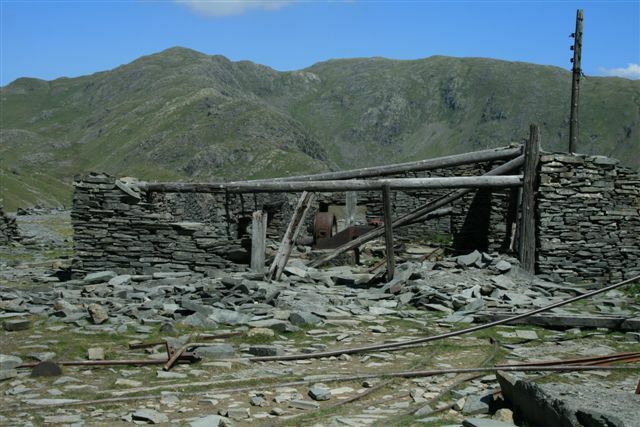 Reaching the upper mine ruin will fascinate anyone with the Blondin supports still standing and with the old engine room building still in a pretty good state considering how long ago it was shut down. 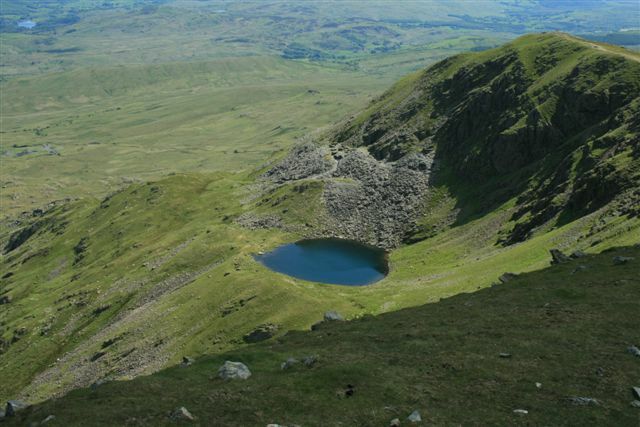 The Coniston Fells were mined for copper from the Roman times, whilst the middle of the 19th century was the most prolific. 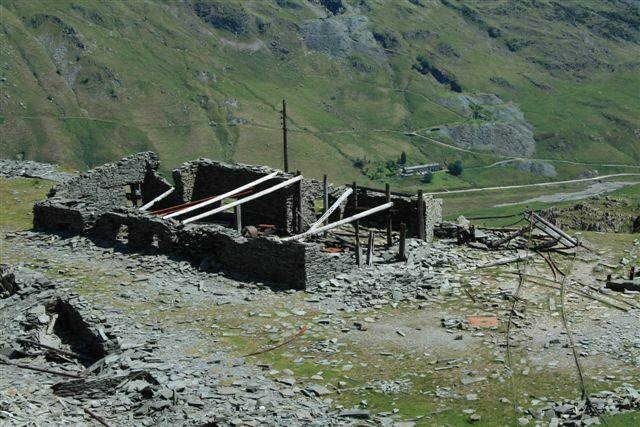 The mines went into decline in the late 19th century and the tough machinery and buildings lie derelict today, although being amazing feature of this landscape and hold stories of distant lives, in a different era, giving birth to the settlement of Coniston village. The route now heads on upwards to Low Water surround by the impregnable huge walls of rock and fell of ‘The Old Man of Coniston’ with this being a fantastic spot to have a short, or long break to take in the clear waters of the small tarn and if your luck find some newts in these waters. On leaving Low Water the path gets very steep as it attempts to climb the shoulder of the Old Man of Coniston. 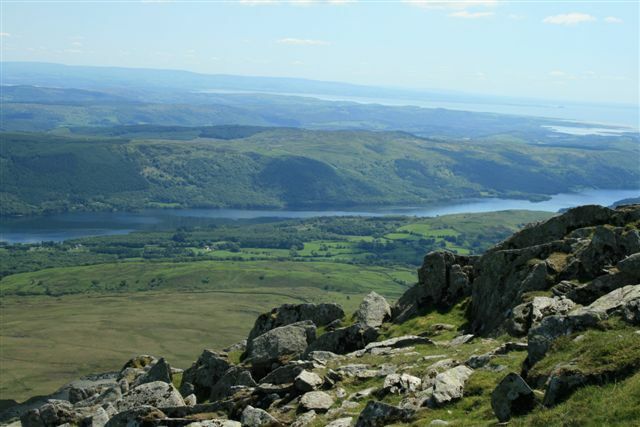 The views from the shoulder pan out over the full length of Coniston Water and out over Morecambe Bay and the largest expanse of intertidal mudflats and sand in the United Kingdom. 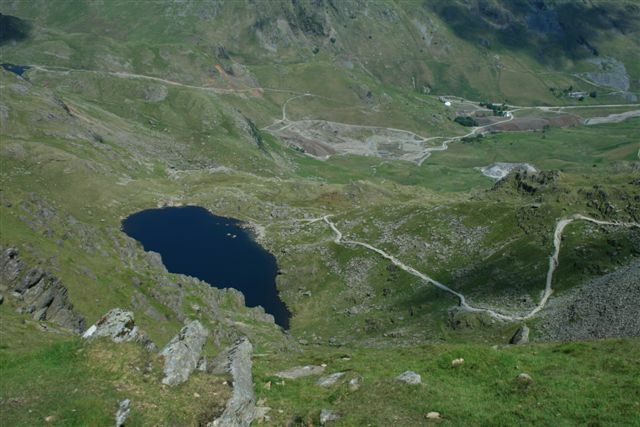 To the west you will spot an impressive shape of water being that of Goat’s Water down below, whilst on the other side of Goat’s Water with an impressive ridge walk and grandeur all its own is Dow Crag, being our next objective. 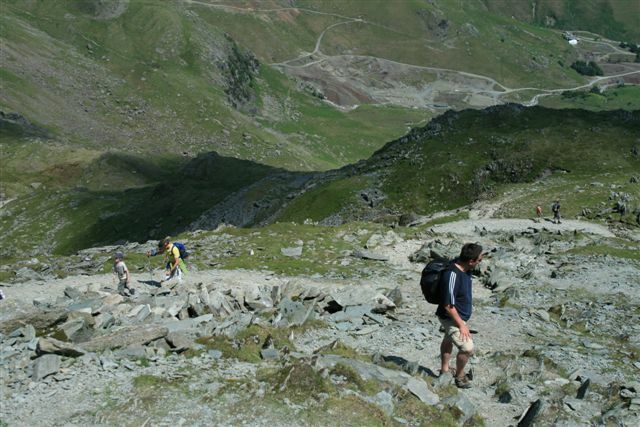 On leaving the ever-popular summit of Coniston Old Man and usually the numbers of visitors too we commence to descend towards Goat’s Hawse and at any point here it is possible to shorten your walk should you so desire and reduce this circular trek. 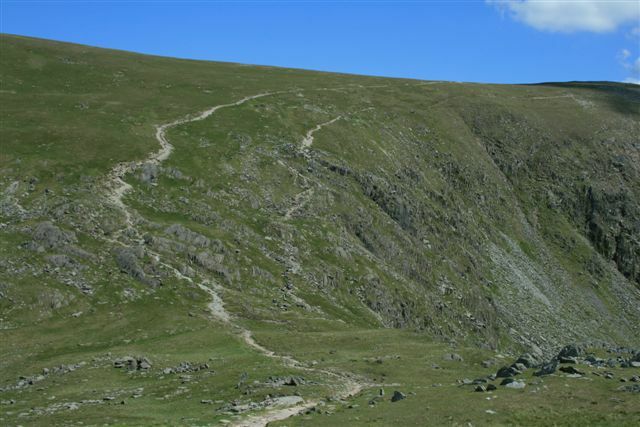 At the crossover of paths at Goat’s Hawse continue upwards towards the summit of Dow Crag, to which the climb is easier than the ascent of the Old Man Of Coniston. To me this is now a more peaceful walk with less people and more of a sense of personal ownership of the fells. 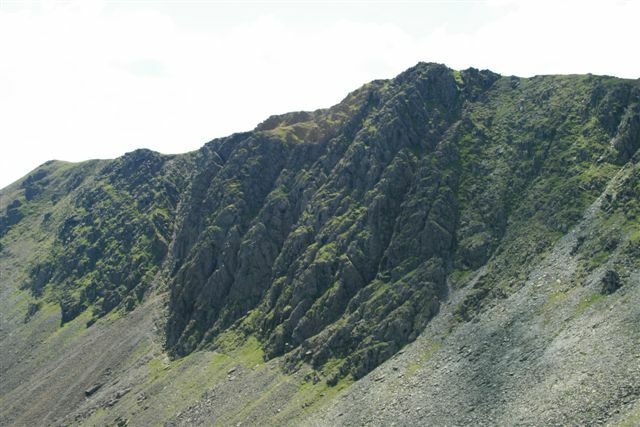 On reaching the summit of Dow Crag at 2552 feet it is a large and gradual point of boulders and not human friendly, although some walkers will endeavour to climb the rocky summit. In contrast to the summit of the Old Man Of Coniston, Dow Crag feels somewhat isolated having no trig point or Cain. Standing upon the summit of Dow Crag feels like you have climbed a real Lakeland mountain, especially with the downward drop to Goat’s Water. 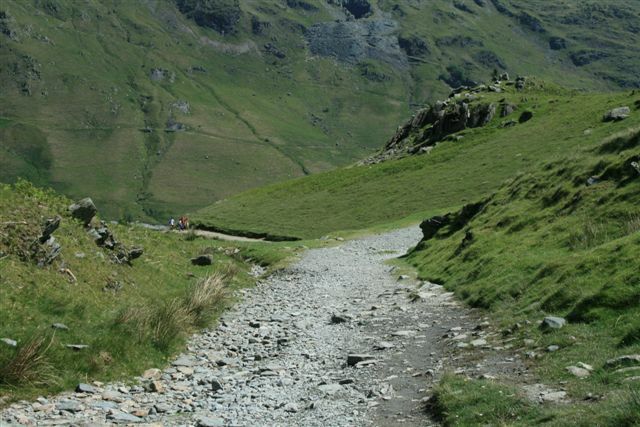 It is easy to skirt this rocky outcrop and continue on the footpath at the other side, although the path is not too clear at this stage as with the abundance of rock upon the fell and requires you to follow your nose. Having circumnavigated the summit it is now down hill all the way and this can be a great homeward feeling remembering the Sun Hotel and the possibilities of food and drink. Leaving the summit of Dow Crag the path continues down the ridge over the tops of Buck Pike and Brown Pike, with a final steep descent onto the Walna Scar Road, wherein you simply follow this all the way back towards Coniston village and maybe some food and drink at the Sun Hotel after completing the Old Man Of Coniston walk. 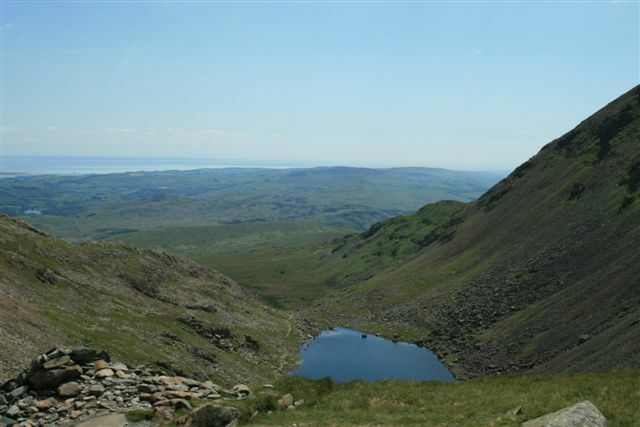 Should you wish to see better quality photographs of this the Old Man Of Coniston walk please visit Old Man Of Coniston on our Lake District Walks Flickr account. Please feel free to comment below on the Old Man Of Coniston walk share or even hit the Face Book like button. 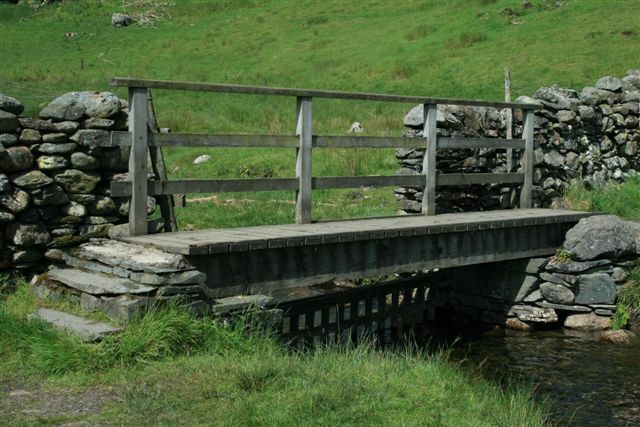 I trust you enjoyed this Old Man Of Coniston walk.